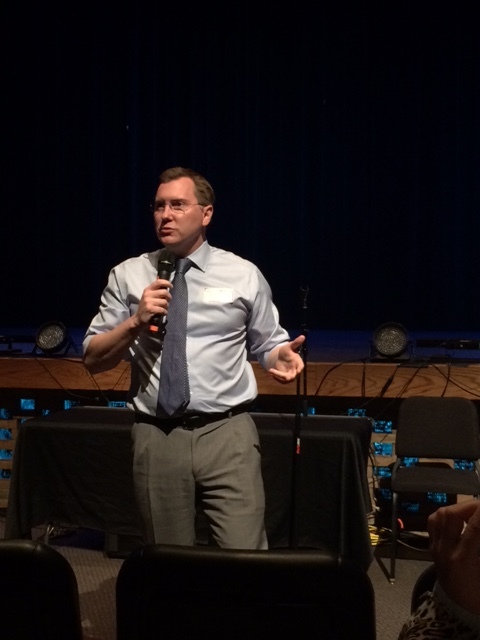 Seaholm seniors currently taking a government class had the opportunity to hear three of southeast Michigan’s congressional candidates in the Seaholm auditorium on October 20. Republican congressman and write-in candidate Kerry Bentivolio, Democratic nominee Bobby McKenzie, and Libertarian candidate John J. Tatar, participated in a town hall meeting during fourth hour. The meeting began with each candidate introducing themselves, then continued on to pre-written questions from various seniors. Students’ questions addressed subjects ranging from Michigan’s aging roads and poverty in Detroit to marijuana reform and marriage equality. Each candidate had 90 seconds to respond to each question and 30 seconds for rebuttal if they chose. The answers showed the variety of opinions between the candidates and the parties they represented. Republican nominee Dave Trott was absent. The candidates present said his absence displayed a disconnect with the public. Tatar said it was “easy” for Trott not to show up when he had a 5 million dollar budget, and Bentivolio expressed his agreement by hugging his opponent. “In life, it’s important to show up,” McKenzie said.